Broad in scope and carefully balanced in emphasis, this book is a major treatise on the theory and practice of public finance. It is unique in its presentation of a worldwide perspective and in its treatment of both the instruments of public finance and the goals, effects, and criteria of public finance measures. The book is divided into three parts. 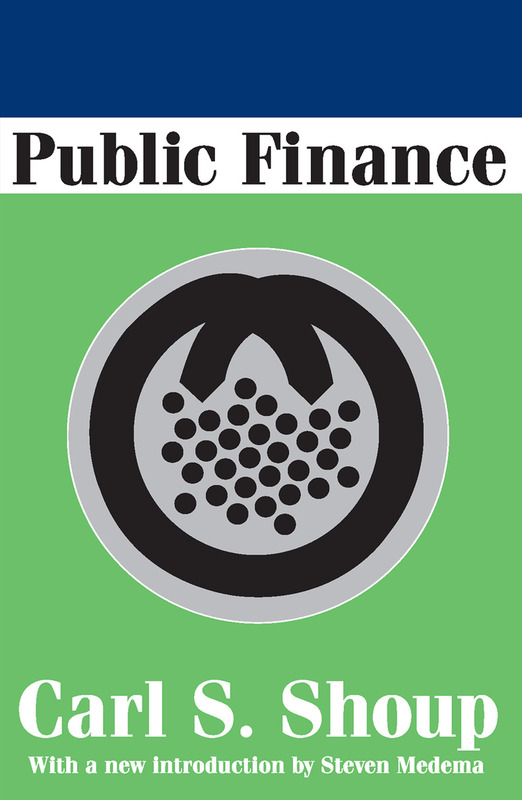 Book One defines the field, specifies the possible meaning of the "effects" of a public finance measure, and describes the criteria by which these measures are commonly appraised.Book Two is concerned with micro public finance and opens with a discussion of the theory of public goods in general. Each of the major free government services and types of transfer payments as well as the taxes that government employs are then examined. This section concludes with a chapter on the relevant aspects of government borrowing and inflationary finance. Book Three considers the major goals of public finance policy and describes how the various instruments described in Book Two can be used in achieving these goals. Among the topics treated are the use of appropriate instruments to resolve conflict in goals, conceptual problems of measuring the public finance sector and its maximum and minimum economic limits, consensus goals of equity full employment and Pareto-optimism use of resources, and goals that evoke conflicts of interest within any community.